Last night I came home and saw this on the counter. I said: Is that an otter holding a pizza? Bob said: Yes. 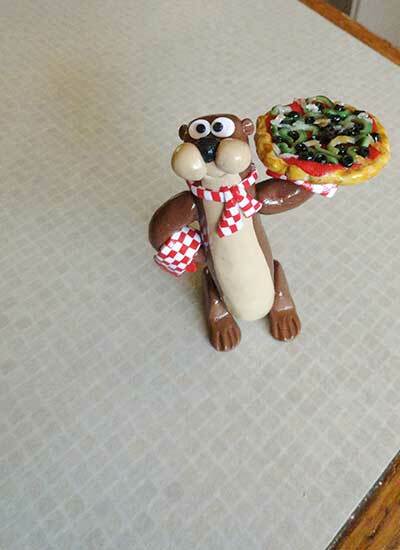 His friend Kitty made a whole bunch otters with pizza and each one had a different topping. She let him pick the one he wanted. The otter is his spirit animal. And here is proof that there are a lot of otters with pizzas out there. In other news, huge tragedy. My favorite summer shoes finally bit the dust. We used a chunk of savings to pay off a loan last month and ever since everything you can imagine has been breaking: cars, A/C unit, plumbing issue, my tooth, and now my favorite shoes. They are super old. Someone was admiring them last weekend and I said they were really old. I looked it up in honor of this post and they are 15 years old. They could have started driving next year. They have been all over the world and all over the country. They were not cheap and I remember when I bought them a friend balked at how much I paid for them. 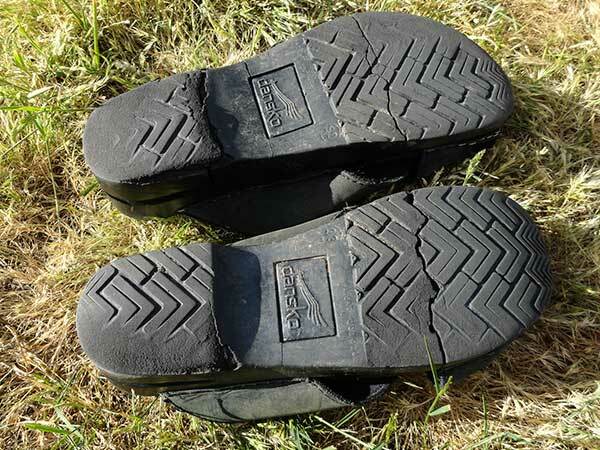 I estimate I paid less than a dime for every time I wore them. 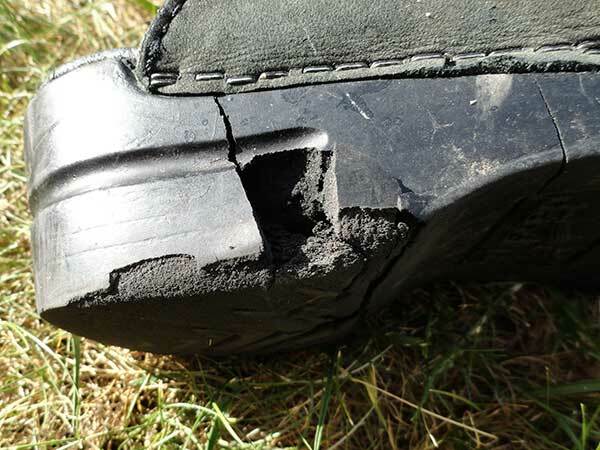 Look: the heel completely disintegrated. I was walking back from my dentist appointment and wondering what was wrong with my shoes. Both feet pooped out at the same time. I went to use my fancy camera for these pictures and that seems to have died, too. I checked and I bought that in February of 2008. The dryer has been acting funny but I thought that was going to die for the past 5 years. We got that before we got married (1996). I hope it hangs on. This entry was posted in doing it wrong and tagged enough about the roof already. Bookmark the permalink.